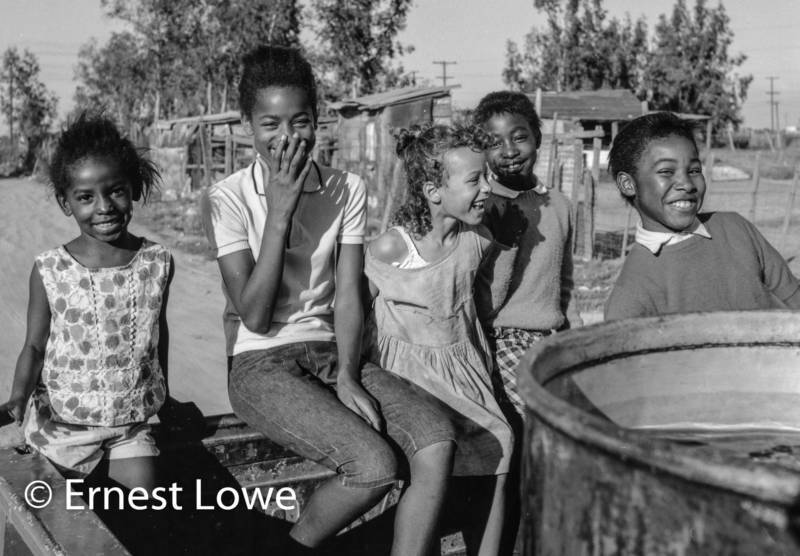 A special thanks to photographer Ernest Lowe, whose photos taken in the 1960s of African-American farmworkers in the San Joaquin Valley provided inspiration for this story. Those photos are now on display at UC Merced. Find more photos of the Marshalls, Beaverses and other families at ErnestLowe.com. rops of rain collect in pools around potted plants outside the Marshall home in South Dos Palos, as a storm rolls into the small farming community about 100 miles southeast of San Jose. A wind chime hanging on the front porch provides background music to a family gathering inside in the living room. Joe, Lee, Zella, David and Marilyn Marshall are five of 13 siblings who grew up on this plot of land. Today, they're all in their 60s and 70s. 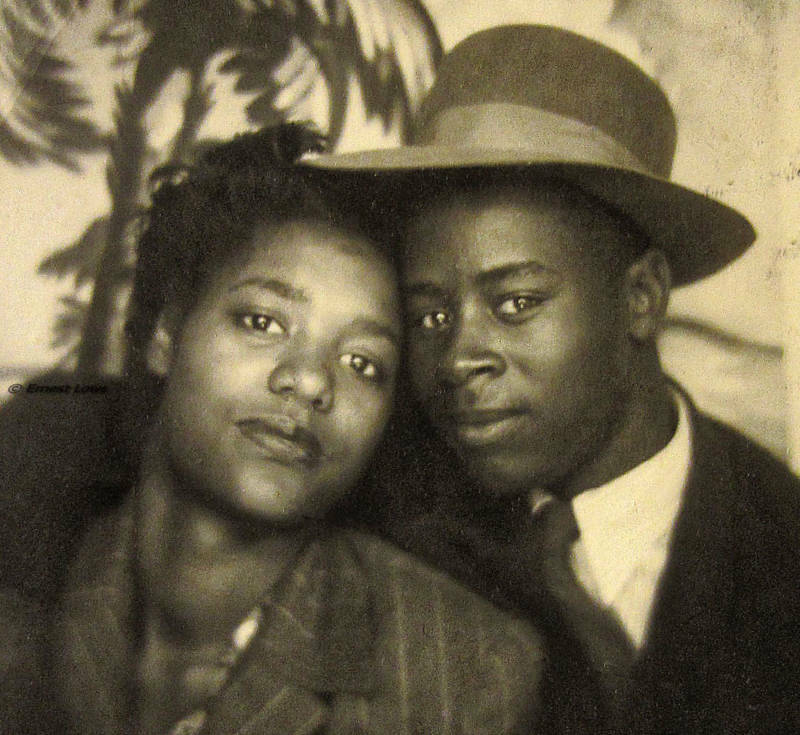 When the Marshall siblings’ father moved to the Central Valley from Mississippi in 1944 to work for the railroad, his goal was twofold: make enough money to provide for his wife and children, and put distance between his family and the racist laws of the South. But the brothers say they found California had its own racism. "The people in the South, they let you know right off the top, you not welcome, you not wanted,” Lee Marshall said. “And, 'Hey, don’t get out of place. You say mister to me.' And they demand that you say 'yes sir' and all this kind of stuff to 'em. It was just straight out, they didn’t hide it. That was better for me 'cause I know where you stand." "These down here, there’s a hidden thing that they use on you," Lee Marshall said. Lee's brother, Joe Marshall, said it was a more subtle form of racism the brothers faced growing up here. “The difference between here and the South is just that — it’s hidden,” Joe said. And that racism shaped how the Marshalls lived and worked. It also shaped the destiny of their town. In the 1940s and 1950s, the Marshall brothers say South Dos Palos was thriving. 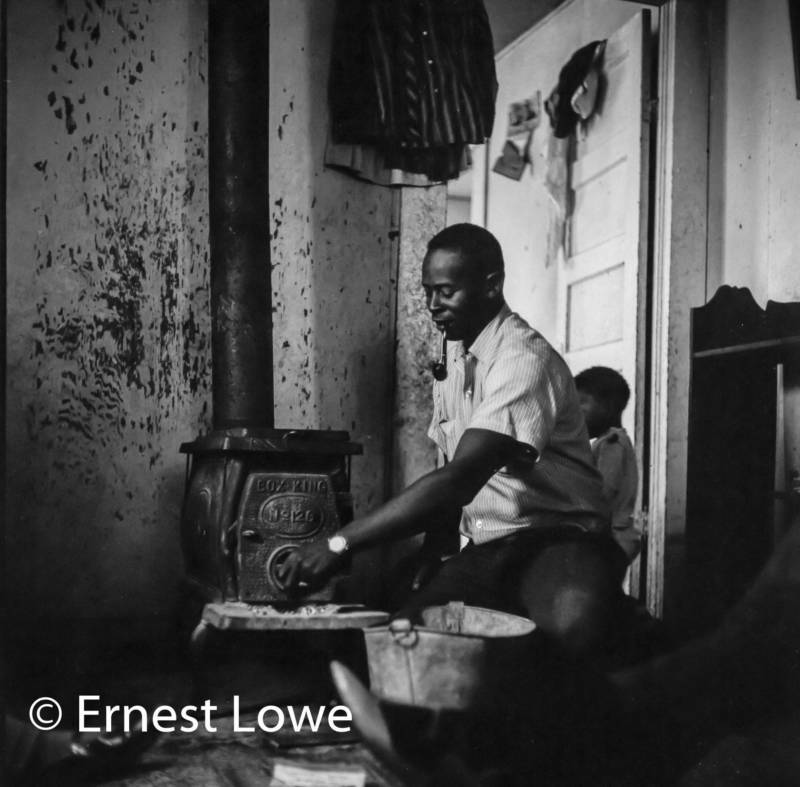 The community was a hub of agricultural business and black-owned cafes, stores and service stations. 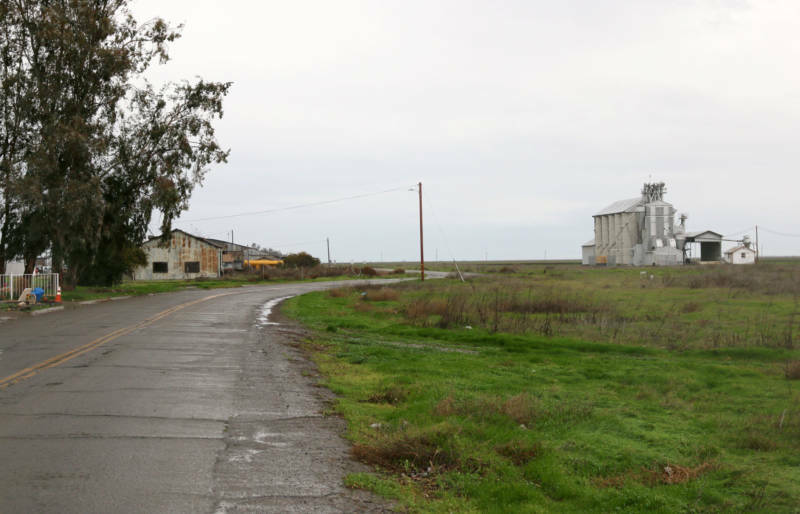 “Everything in South Dos Palos, except for a few places like behind us, was owned by black people,” Joe Marshall said. 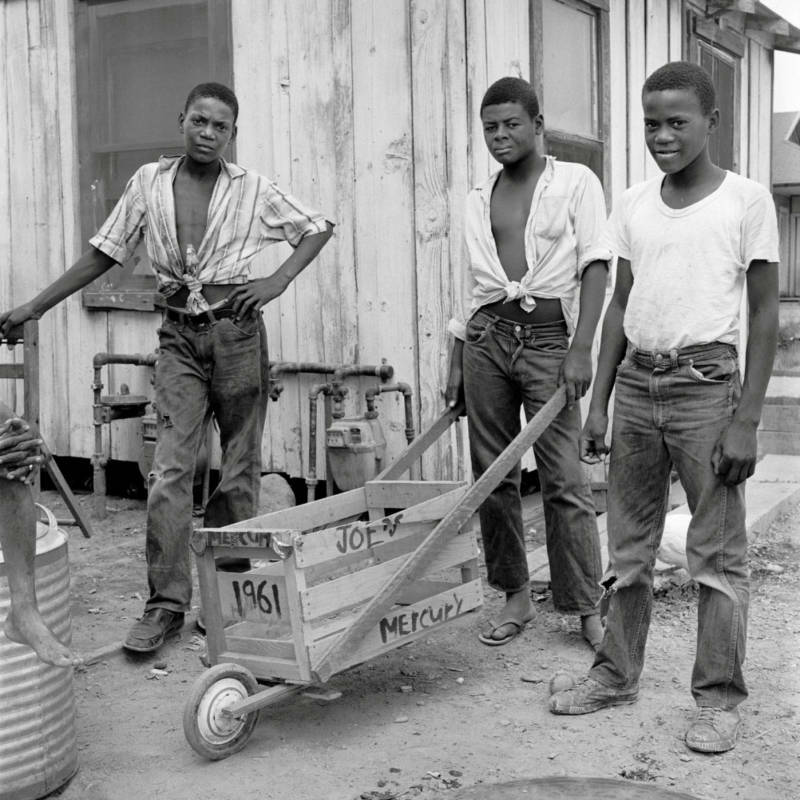 Mexican and Central American workers make up the bulk of farm labor in California today, but throughout the 1940s, ‘50s and ‘60s, African-Americans and poor white families — many of them migrants who moved to the state during and after the Dust Bowl storms of the 1930s— also worked in the fields. To earn money, the Marshall brothers pruned and harvested crops like almonds, lettuce, grapes and cotton, one of California’s top producing crops at the time. They went to work and came back to a home that didn’t have running water or indoor plumbing. They used to be embarrassed to have to tell their girlfriends to use an outdoor toilet when they would come visit. Just a few miles from South Dos Palos is another community called Dos Palos. During the Marshall siblings’ childhood, Dos Palos was a mostly white community. Many of the homes there had the infrastructure that houses in South Dos Palos lacked. When Joe and Lee grew older and wanted a job outside of working in the fields, Dos Palos is where they went to look for one. “You out there waitin’ for a job interview, and behind closed doors they just cuttin’ you down, you’re not wanted,” Lee said. "I would take that more so than ever, this hidden prejudice which still goes on today in these little towns like this. It’s a hidden thing that can just tear you down. Because you get your confidence up, thinkin’ that you’re on your way. And you got somebody behind closed doors trying to block your way or stop you from doing certain things." 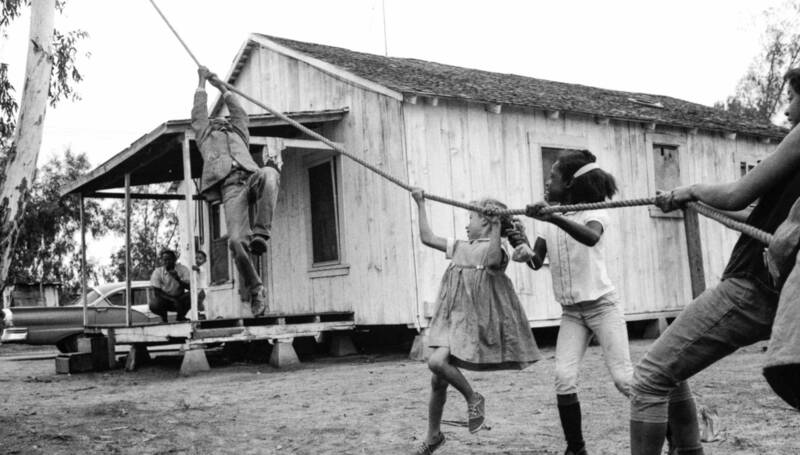 Michael Eissinger, an anthropology professor at Fresno State University who studies historically rural African-American settlements in the San Joaquin Valley, said there were many communities in California like South Dos Palos and Dos Palos — a black community and an all-white community just a few miles apart — existing side by side, separate but interdependent. For decades, racially restrictive covenants, clauses in deeds to properties that specified who could and could not live there, blocked African-American families, and individuals and families of other races, from buying or renting certain homes, including in California. Redlining created barriers to black families obtaining loans to buy houses in certain neighborhoods. There were also sundown towns, places that people of color could visit during the day, but had to leave by the time it got dark. You can still see the legacy of this in the Central Valley today, in towns like Clovis, the nearly all-white, affluent suburb of Fresno, and then again in Stockton and Lodi. These are kindred cities walled off by a brief but mandatory drive through farmed landscape. Two hours south on Highway 99 is another unincorporated town called Teviston. Once occupied by black families living and working on the outskirts of the mostly white community of Pixley, today Latino families populate most of the houses. In 1946, Bertha Mae Beavers moved to Teviston from Oklahoma at the age of 15. Shortly after she arrived, a white woman was beat up on the railroad tracks near Teviston and Pixley. A rumor circulated that a black man from Teviston had beat the woman. For a while, no black people were allowed in Pixley, Beavers said. It was the white woman’s husband. “He beat her up and they tried to say the black man down here in Teviston beat 'em,” she said. Beavers was afraid, but she stayed. She eventually married her husband in Teviston, and they had 12 children. The family lived on the outskirts of Pixley and worked in the fields to get by. Like South Dos Palos, homes in Teviston didn’t have running water, gas or indoor plumbing. “Just in the house we lived in, we didn’t have a two bedroom, so with all of us 12 kids we slept in one bedroom. And we could lay in the bed at night ... and see the stars. [Through the] cracks,” recalled Bertha Mae's daughter, Ruth Ann Jones, age 70. In 1963, a state law — the Rumford Act, or California Fair Housing Act — was passed to end discrimination by property owners who refused to sell or rent to African-Americans. In 1964, the same year the Civil Rights Act was passed, the state ballot initiative Proposition 14 nullified the Rumford Act. The California Supreme Court later ruled Proposition 14 was unconstitutional, and the U.S. Supreme Court upheld that decision. The federal Fair Housing Act of 1968 would eventually outlaw housing discrimination nationwide. Around this time, labor organizer Cesar Chavez and a growing movement of farmworkers fighting for better pay and working conditions was gaining momentum in the Central Valley. While some black workers were involved, the movement was largely Chicano and Filipino. 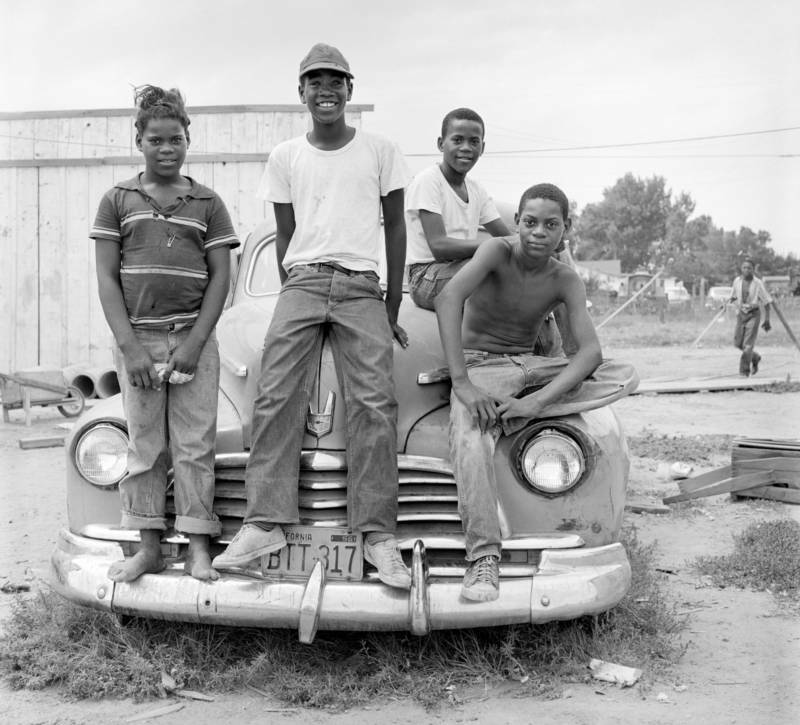 When Latino farmworkers began staying in the San Joaquin Valley in greater numbers, instead of going back and forth to Mexico, it began changing the black-white dynamic of Teviston and Pixley. The Beaver family noticed something in the Latino families moving into the area. Something that was completely unfamiliar: a certain boldness and lack of fear that black families coming from the South felt they couldn’t afford to have. 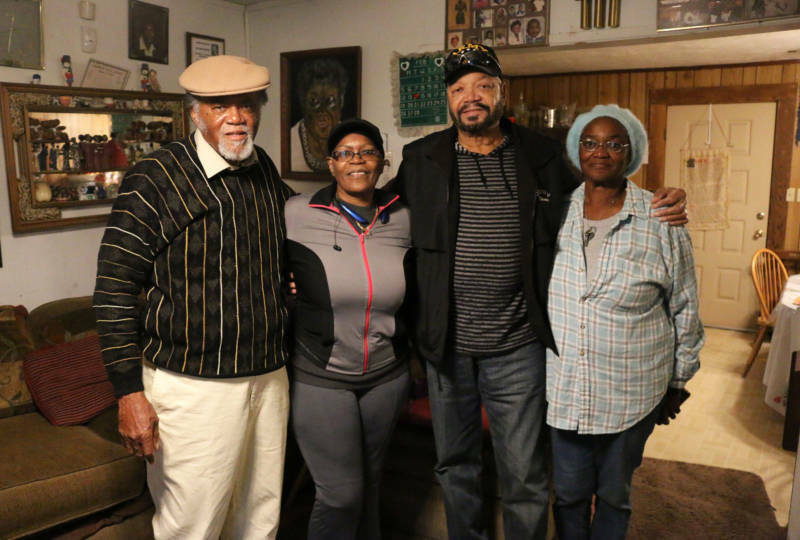 When Teviston’s residents pushed to get a community well and gas in their homes, some African-American families distanced themselves from upgrades. 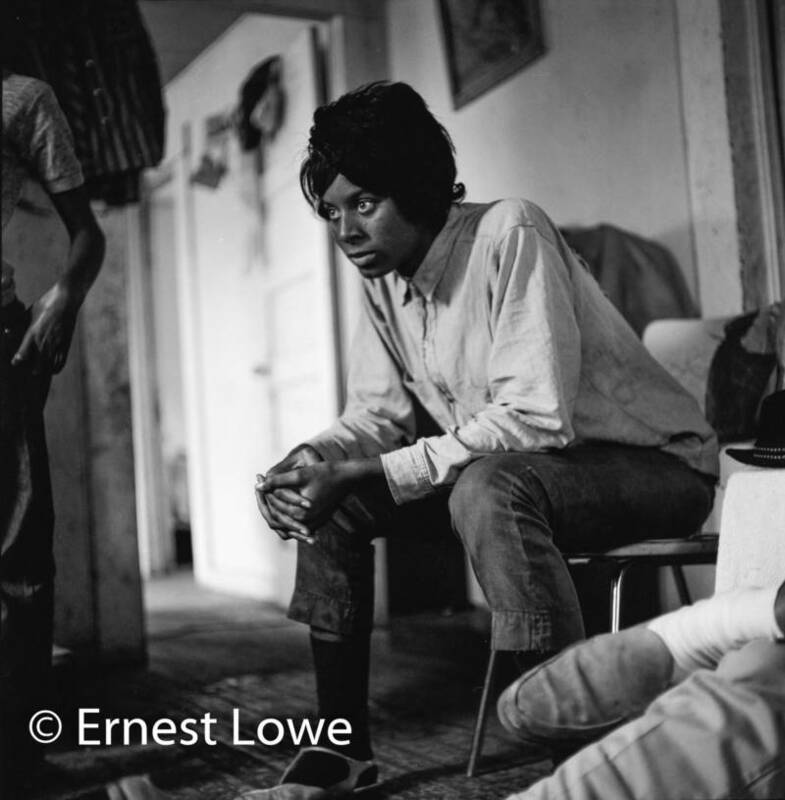 Around the 1970s and ‘80s, Bertha Mae’s children were able to get out of farm labor, and find new jobs. A few worked at nearby schools as lunch ladies and at the post office. “We as black people, I don’t think fought as hard as we should have... for what we wanted,” Ruth said. If you go to Teviston now, you can see homes scattered throughout the town, but it's not much of a town. There are no businesses, just a boarded-up gas station and two churches. The Beavers still have mixed feelings about how their community has evolved. “I’ll tell you what we used to say when we was growin’ up," said CL Jones. "The white people are watchin’ the wrong people. They was keepin us down, and the Hispanics was steady gettin’ ahead." In South Dos Palos, as the Marshall siblings grew older and started their own families, they encouraged their children to go to school or work other jobs, anything to stay out of the fields. But it was OK with Joe, because his kids were getting out and getting ahead. 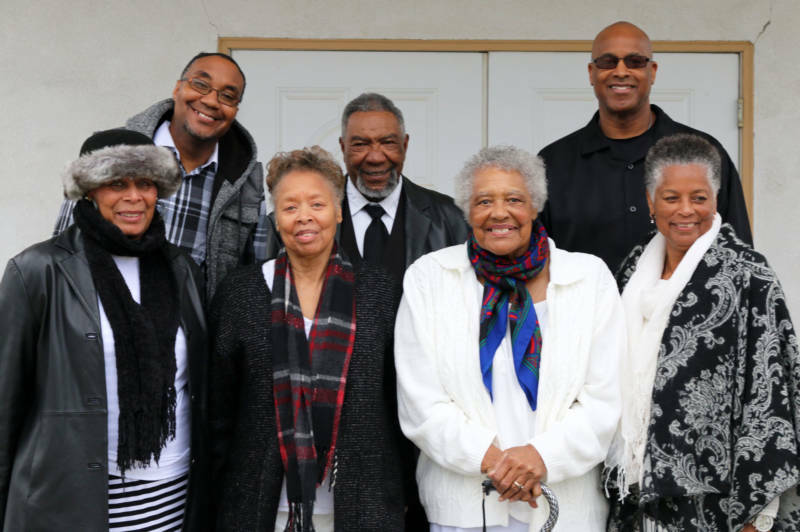 Nowadays, South Dos Palos is still a gathering place for the Marshall family. They return here for small gatherings and large family reunions. Every April, hundreds of extended relatives fill the street to celebrate their mother’s birthday. She passed away several years ago. Joe looks at his Latino neighbors and can relate to what they’re going through. He knows no one would work in the fields if they didn't have to. "We paid our dues far as laborin’ hard in the fields,” Lee Marshall said. “And believe me, I don’t wanna do it. Whoever wanna do it, I just pray for em."